VietNamNet Bridge – According to the Ministry of Public Security, Nguyen Duc Kien was arrested and prosecuted for committing illegal business. The arrest of Kien is based on accusations of illegal business at three companies where Kien is the Chairman, including the B&B Investment and Trade JS Company, ACB Hanoi Investment JS Company and Asia Hanoi Investment and Finance Co., Ltd.
Investigators confirmed on August 21 that Kien, former Vice Chairman and Vice Chair of the founding council of the Asia Commercial JS Bank (ACB), did not involve in running the ACB. Investigators also said that the arrest and prosecution against Kien is normal activities of investigating agencies. 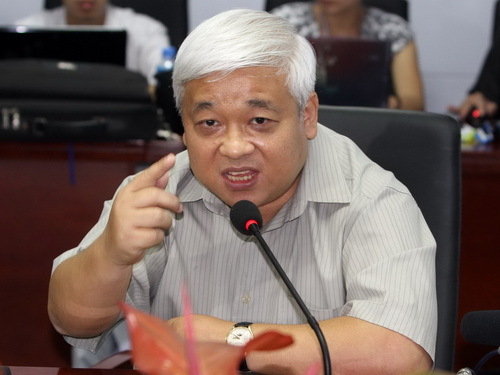 Kien, 48, is the Vice Chairman of the Vietnam Professional Football JS Company (VPF), Chairman of the Hanoi FC and the co-founder of many commercial joint stock banks like the Asia Commercial Bank (ACB), Kien Long Bank, etc. Kien was born in 1964. He studied at the Zalkamate Military Technology College in Hungary after graduating from the University of Military Technology. After eight years working in the textile and garment industry, he began investing in the banking sector and became the Vice Chair of ACB, one of the largest commercial joint stock banks in Vietnam, at the age of 30. Kien was named in the list of the top 100 richest men in the stock market of Vietnam, with around VND805.9 billion (more than $400 million) worth of his shares at ACB. The total value of ACB shares held by Kien’s family was estimated at VND2 trillion by the end of 2010. According to ACB’s report 2010, Kien was not a member of the bank’s management board but he is considered the major shareholder of many big banks. Kien met with correspondents on February 9 as Vice Chairman of the Vietnam Professional Football JS Company (VPF). (photo: TT&VH). After catching public attention for his strong statement about Vietnam’s football, Kien once again appeared on the local media for signing a contract with football star Cong Vinh. Kien at a music show on January 2, 2012.